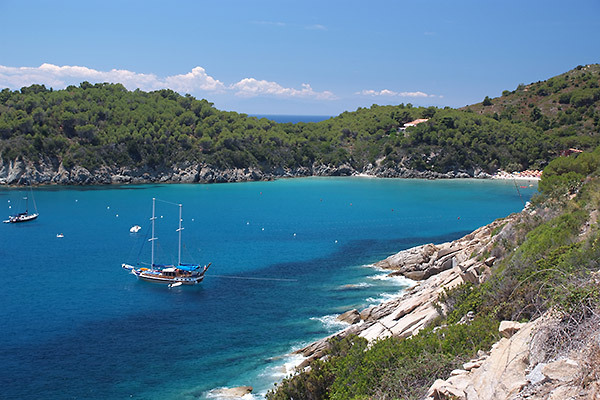 According legend, the Tuscan Archipelago was formed when the goddess of beauty and love, Venus, lost her necklace in the waters of the Tyrrhenian. There is a degree of truth in this charming myth because there is no doubt that the islands of this Archipelago are fragments of paradise. Few places in the world can boast such wealth and variety in so small an area; from the enchanting depths of the sea, a paradise for divers, to the wooded heights, from the beaches and bays framed by the Mediterranean maquis, to the tiny, hillside towns immersed in the peaceful timelessness of yesteryear. The Tuscan Archipelago offers something for everyone; sports, relaxing in the sun, history, culture and, naturally, excellent food and wines. 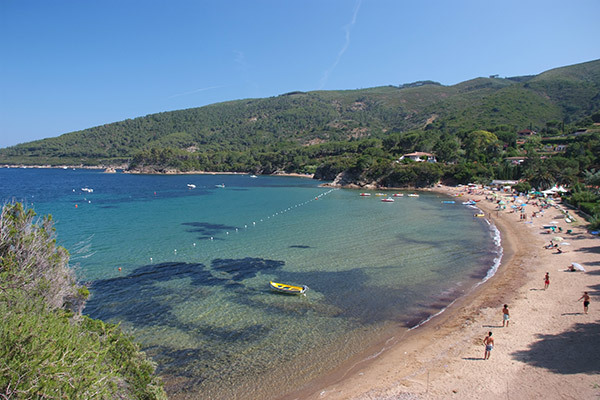 The Island of Elba lies just 10 km from the mainland and, covering 224 Km2, is the largest of the Tuscan Archipelago and the third largest in Italy. 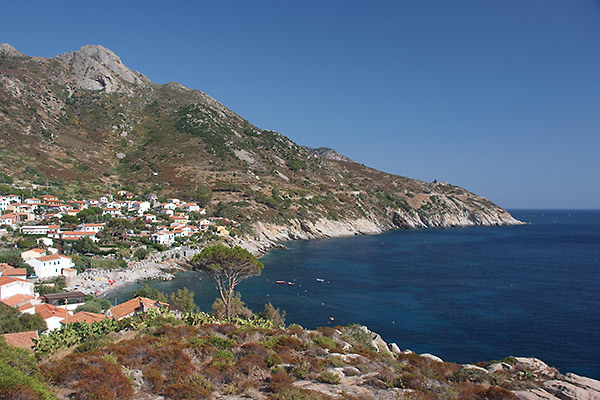 Together with the islands of Pianosa, Capraia, Montecristo, Giglio and Giannutri, Elba is part of the Tuscan Archipelago National part, established several years ago. 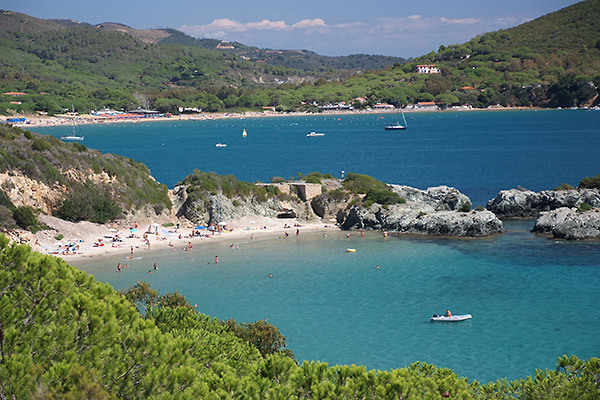 The variety of coastline, covering 147 Km, the amenity of the beaches and the majestic beauty of the Mount Capanne range all go to making Elba one of the most famous tourist venues in the world. The island has been inhabited since pre-historic times and was known for its iron-ore deposits, mined since the dawn of History. 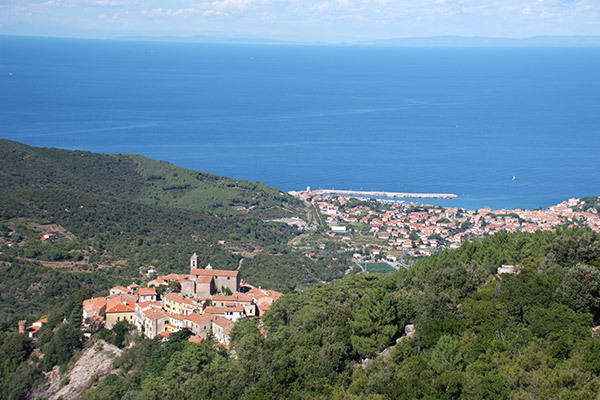 A series of rulers governed the island and to the early Ligurians Elba was known as “Ilva”, then the Greeks called it “Aethalia” later came the Etruscans and for centuries after the island was part of the Roman Empire. During the Middle Ages, Pisa ruled, followed by the Appiani and the Medici. Over the centuries, the European powers left many traces of their dominion. Elba was Napoleon’s brief but, for many aspects, golden exile, staying, and reigning, here between 1814 and 1815, prior to Waterloo and another, very different exile on Saint Helena, in the middle of the Atlantic. Napoleon arrived on Elba in May 1814 after the disastrous Campaign in Russia and the defeat of Leipzig. 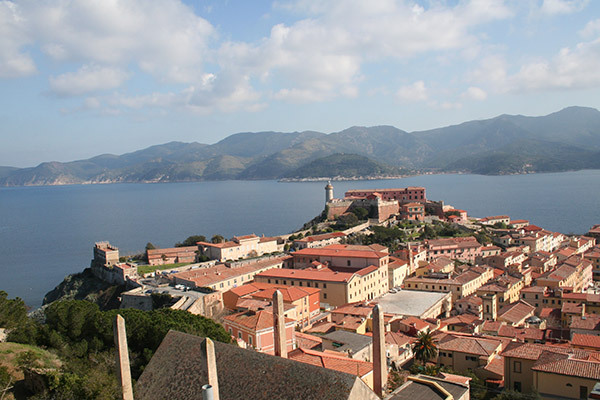 The main Napoleonic heritage on Elba is now in the form of the two museums, housed in his former residences: his town house, Villa dei Mulini, in the old town of Portoferraio, and his larger, country retreat, Villa San Martino, a few kilometres from the main town of the island towards Procchio – Marina di Campo.